Keep your independence while still getting the help you need with Kitchen Aids around the home. 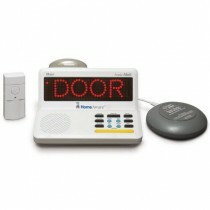 Each product is designed to help you feel more secure while maintaining your autonomy. They assist in several different areas such as reach, preparation and eating, depending on your various needs. Maintain peace of mind knowing that you and/or your loved one are safe doing day to day routine activities, no matter the need. 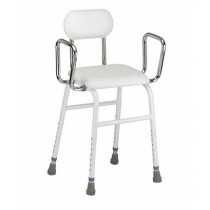 Products in this section include kitchen aids for the disabled, such as the Good Grips Utensils for those who consistently shake or have trouble gripping including Parkinson’s, Cerebral Palsy or Muscular Dystrophy. These, as well as other Eating Assist Aids, make it easier to receive the nutrition that you need. Nutrition is key to good health, and enhances the control you have in your life when you are able to increase your ability to self care. These products also serve as kitchen aids for the elderly. 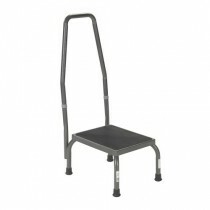 In addition to eating aids, there are several different types of Reachers and Footstools, making objects on top shelves an issue no more. 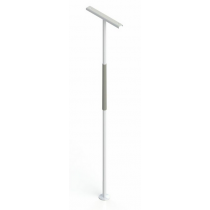 With poles and handrails on several of the products, you can also be sure of stability while reaching for the things that you need. 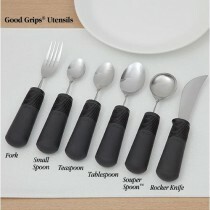 Kitchen aids for arthritis are also included in this section. Assisting you with a strong grip, Jar Openers and Cap Removers give you an added strength and ability that enable you to continue daily life with almost no change in the kitchen. For assistance outside of the kitchen, check out other aids Around the House and for your various Activities. Daily life can be lived on your own terms with increased independence and control of your own life.